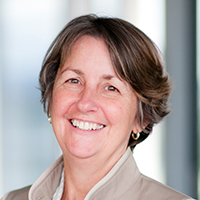 Linda Haller joined Melbourne Law School in 2006. She teaches Legal Ethics and Legal Method and Reasoning. Dr Haller has published and spoken widely in Australia and overseas in relation to the professional discipline and regulation of lawyers. She is a board member and Treasurer of the International Association of Legal Ethics. She was Chief Examiner of the Victorian Bar exam from its inception until 2013. Prior to her academic career, Dr Haller practised as a lawyer in Victoria and Queensland. Her current research includes an examination of advocates' immunity. Linda Haller, 'Playing Fair': when advocates' immunity is out of court' (2014) 3 Journal of Civil Litigation and Practice 60-67. Linda Haller, 'Abuse of Process, Collateral Attack and Claims against Lawyers' (2015) 34(4) Civil Justice Quarterly 377-392. This article reports on how English courts have used their abuse of process powers since the House of Lords abolished advocates' immunity in 2000.